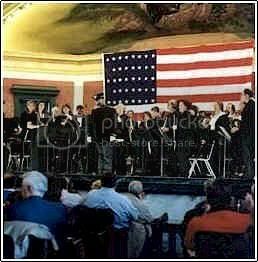 A concert in the style of John Philip Sousa, with Marcus Neiman & The Sounds of Sousa Band, will transport you and your audience back to the turn of the last century when the concert band was king of the entertainment scene. Formed by Neiman in 1992 in an attempt to celebrate the centennial of the formation of Sousa's first non-military professional band, The Sounds of Sousa Band is making a name throughout the United States not only for their unique programming, but also for their exceptionally high musical performance level. 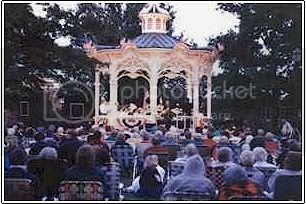 This site has been designed to bring you information about Marcus Neiman & The Sounds of Sousa Band and to encoruage you to learn more about John Philip Sousa, his band, and his times. We encourage you to visit the site, learn more about us, and "connect" with other sites to learm more about Sousa and his music. The Sounds of Sousa Band is composed of the finest musicians in Ohio. They are appointed to the ensemble based upon their musical skill, dedication to excellence in performance, professionalism, and belief in the common goals of the ensemble. The ensemble is currently being reorganized and a complete list of members will soon be available.